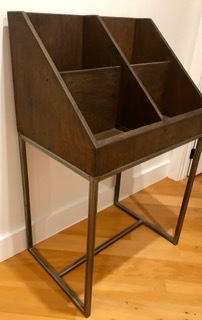 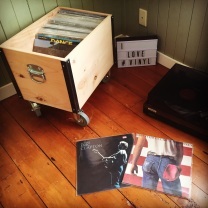 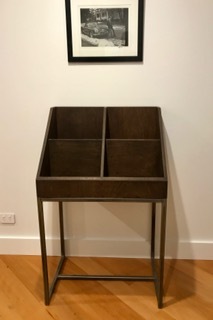 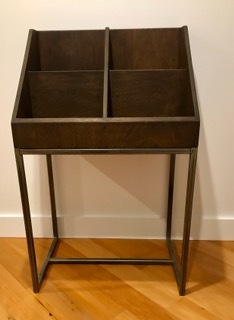 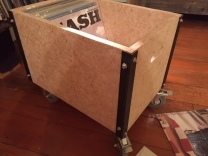 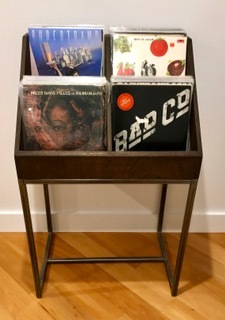 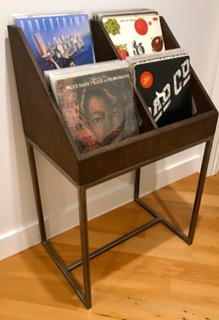 The Executive vinyl storage unit mixes industrial steel and beautifully stained hardwood plywood to create this eye catching piece of furniture to store all you prized vinyl lp records. 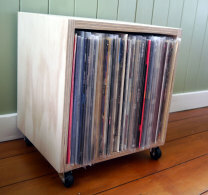 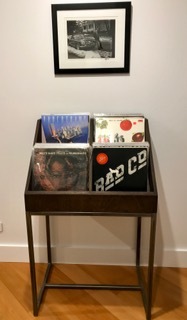 Show your favorite records at the front and make for easy searching though the rest of your collection. 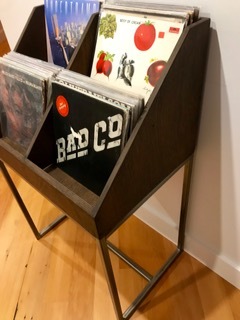 Also available in solid wood, including Oak, Ash, walnut, macrocarpa, or reclaimed NZ kauri, Rimu or Matai, or Canadian Oregon.